Tired of boring flat plates? Want to add some “structure” to your meals? 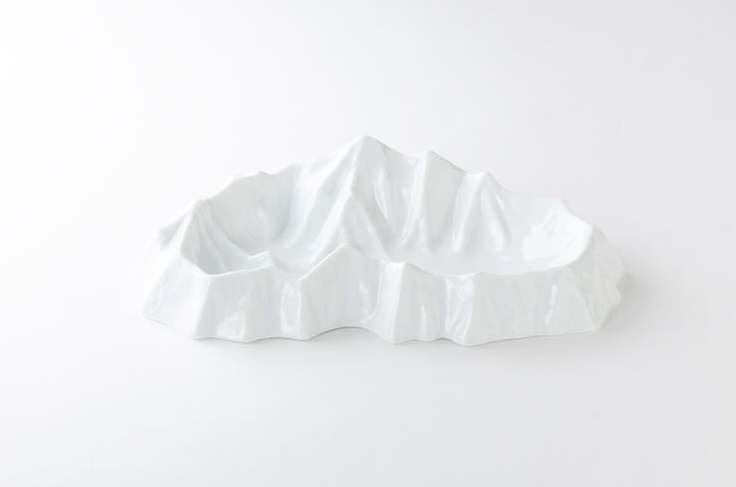 The ceramic Topography Plate, designed by Kyouei Design, is for you. With a little imagination, soups become a lake, and salad greens becomes foliage. Visit Kyouei Design to see more photos. 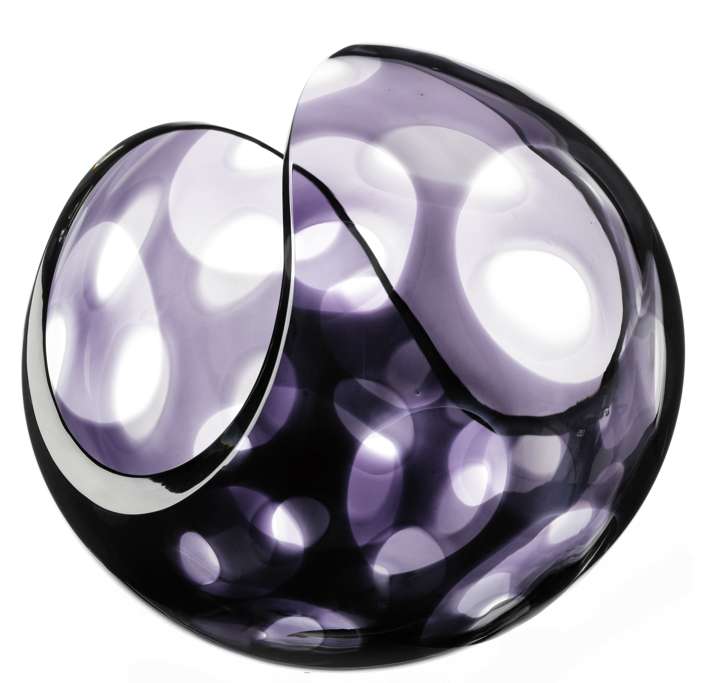 Lena Bergström designs crystal glass bowls, chandeliers, vases, wine goblets, mugs, and candlestick holders, that are aesthetically pleasing and gorgeous. 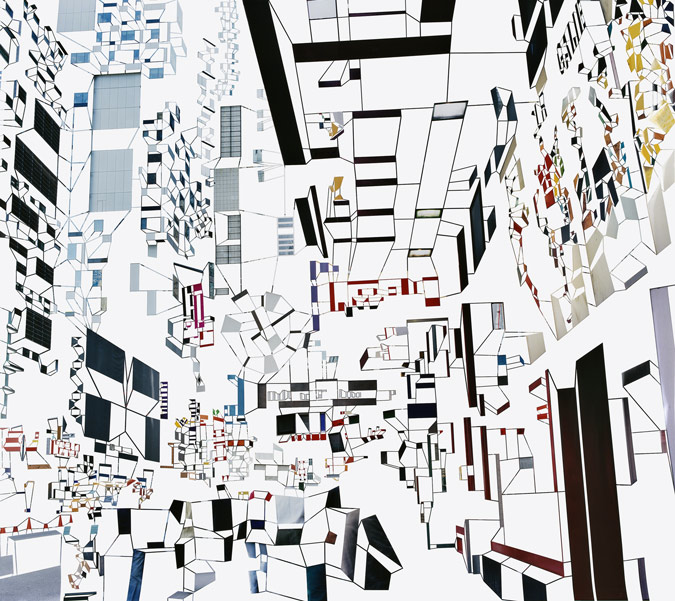 Using only a scalpel Richard Galpin intricately scores and peels away the emulsion from the surface of his own photographs to produce a radical revision of the urban form. Location sharing made easy and smart. Any location can be created and shared as a PinPoint. yourpinpoints.com allows an address, like “221B Baker Street, London” to be converted in something like http://directions.to/sherlockhomes - this can be inserted into emails, SMS, forum posts, blogs, tweets etc. The shortened URL is smart! When you click on it on web browsers it will open in online maps, and when you click on it via a BlackBerry device it will open in BlackBerry Maps, when you click on it via a Nokia smartphone it will open in Nokia Maps and for iPhone users it will open Google Maps and so on. PinPoints figures out what navigation software you have and will show the sent location. It’s like if PinPoints reaches into your sat-nav and programs it for you. 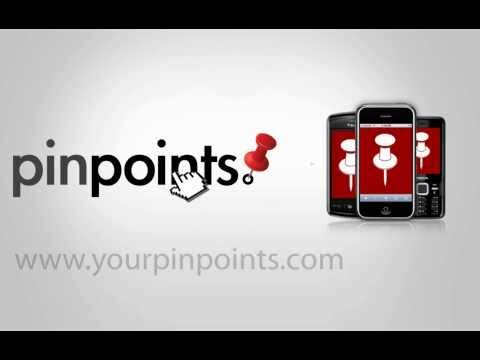 Check out Pinpoints for more info. Now that we covered the ‘sound’ aspect of the film Tron: Legacy, it’s only fitting we go a bit further along the same lines and show you the music video (which premiered on MTV) for Daft Punk‘s track “Derezzed” from the score for Tron: Legacy. The futuristic sound of Daft Punk is a match made in heaven with a film such as Tron: Legacy. What do you think? Tron: Legacy is set to hit theaters. December 17th. 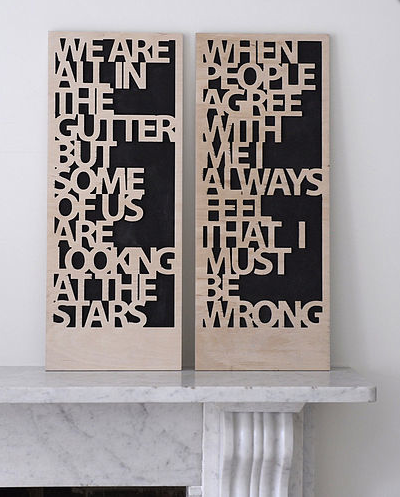 Make a statement, literally, with these Oscar Wilde carved artboards by Frank & Fearless. ‘When People Agree With Me I Always Feel That I Must Be Wrong’ and ‘We Are All In the Gutter But Some of Us are Looking At The Stars’. 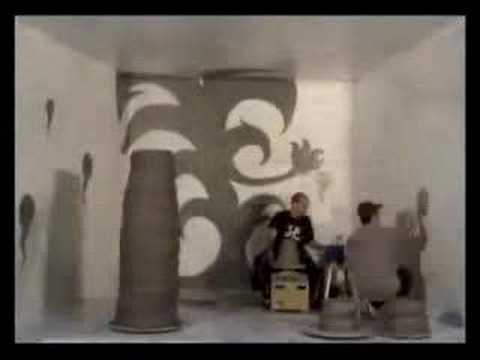 They are made with deep routed plywood, with black paint infill. Bold and neutral enough to fit in most anywhere. Available from Not on the High Street.